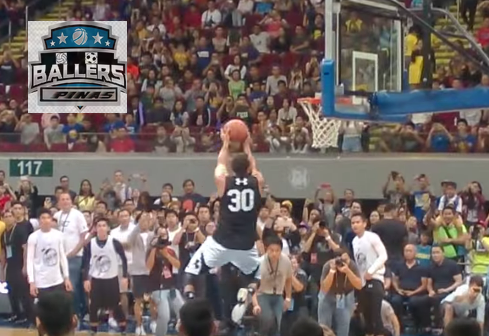 Stephen Curry Dunks during Under Armour Roadshow Manila, Philippines:Video Here! Stephen Curry showed his bounce during the Under Armour Roadshow in Manila on Saturday held at the SM Mall of Asia Arena in Pasay. He entertained the crowd with his uncanny dribbling skills, accurate shooting stroke, and a reverse two-handed dunk to cap-off the festivities. During the huge event, the reigning NBA MVP and leading Under Armour ambassador encouraged the Filipino youth to will their way up in basketball by working hard relentlessly. Through Under Armour CEO and Founder Mr. Plank’s vision and leadership, the brand has become the hottest global athletic per-formance brand over the last few years. Similarly, Curry’s excellent court vision, playmaking, and shooting led the way for the Golden State Warriors to win the NBA Championship for the first time since 1975. As they enter the next chapters of their respective stories, Curry and Under Armour aim to share their work ethic and passion for the game of basketball to players and fans in Asia. Curry in turn looks for-ward to experiencing firsthand the vibrant energy of the cultures of each country he’ll be visiting throughout the tour. Fully aware about the Filipinos’ love affair with basketball, Curry and Plank were so happy to meet the Filipino youth to inspire them to will their way to achieving their dreams on the hardwood. That's the ultimate goal of the Roadshow in Manila. And, I think they were able to achieve it.